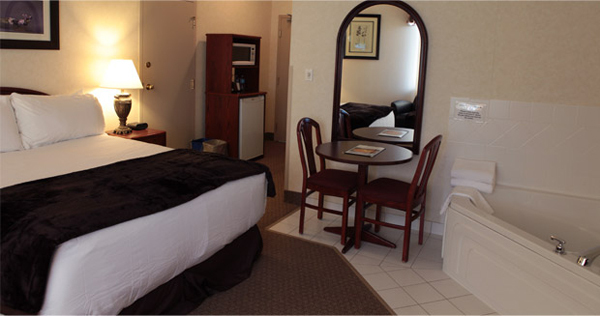 The Continental Inn & Suites is a 100% non-smoking property. 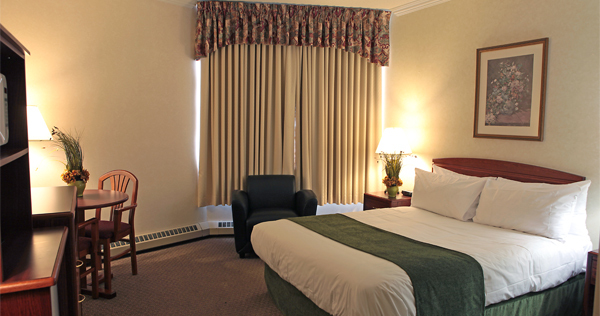 The Continental Inn & Suites offers 96 non-smoking, air-conditioned guest rooms. Each well-appointed guest room boasts modern furnishings and amenities, including flat-screen cable TV, high-speed Internet access, in-room coffee and tea, iron with ironing board, hairdryer, mini-fridges and microwaves. Catering to a wide range of needs and budgets, the hotel provides a variety of rooms with a selection of different bed types and rates. Unfortunately, roll-away cots or sofa beds are not available and the maximum number of guests per room is four. Children under 17 years sharing adult accommodations stay free. ** Cancellation Policy: While we appreciate that unforeseen circumstances may result in guests having to cancel their reservation, the hotel requires 24-hours advance notice of any room cancellation or the guest is charged for the first night. Check in time: 3:00 p.m. Check out time: 11:00 a.m. Featuring two double beds, these 325 square-foot rooms comfortably sleep four persons and offer our guests tastefully decorated rooms with the above amenities and great prices. Featuring one Queen-size bed, these rooms are perfect for a couple for an overnight or extended stay or for those guests who are looking for the added comfort and extra space afforded by the Queen-size bed. 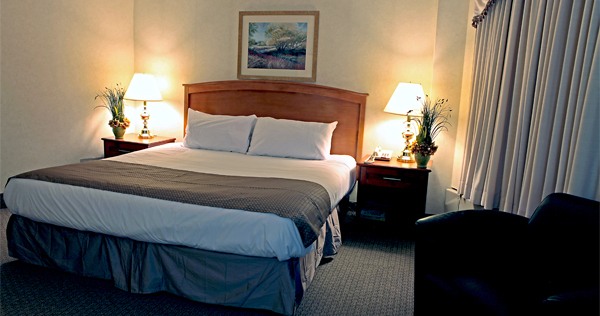 Featuring two Queen-size beds, these rooms are among our most popular. They can comfortably sleep a family of four, two couples or those guests who are looking for the added comfort and extra space afforded by the Queen-size beds. With one King-size bed, these rooms are, as the name suggests, fit for a King and are perfect for that couple or guest who wants to be “pampered” and feel like Royalty, having experienced the ultimate in comfort, rest and relaxation. 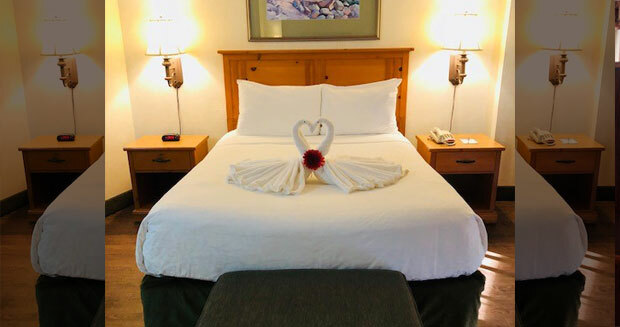 Featuring one Queen-size bed and a two-person Jacuzzi, our Jacuzzi rooms are ideal for a romantic getaway or relaxing stay. 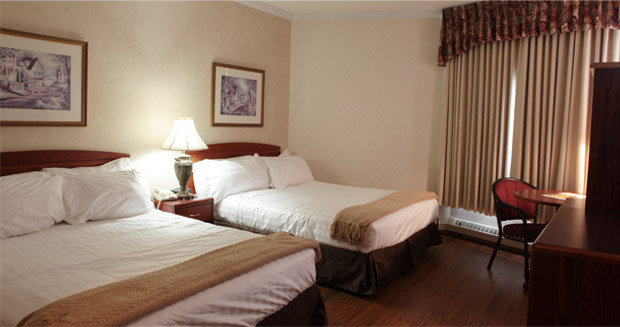 Whether it’s an overnight visit or an extended stay, we are the hotel of choice in West Edmonton.